You can follow the crowd or you can step up and take a risk. These windows using a black frame are beginning to pop up everywhere. Moving away from the standard white frame, these bold, black frames add a pop of pattern where there was not much going on before. 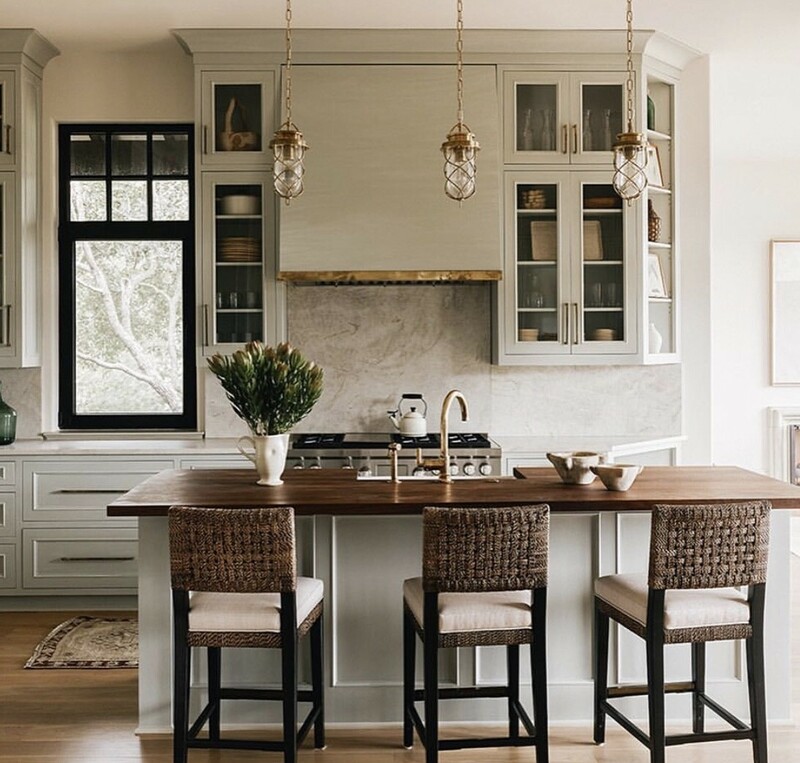 Look how pretty that window is standing out against a neutral wall and drawing attention to the black frame on the bar stools! So pretty! The lesson here is to make bold choices. With the help of a professional, it’s a risk worth taking!